Brief Synopsis – A young man who carries an aristocratic name uses his own skills and wit to try and become a part of high society Philadelphia despite his lack of money. 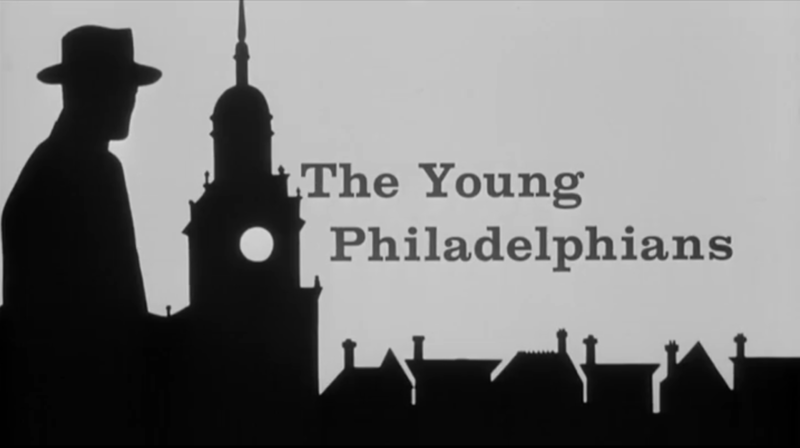 My Take on it – This is a film that I had never even heard of until I started to do research on films that take place in the city of Brotherly LOve – Philadelphia. The story is presented quite well and we quickly learn the importance of being a part of the high society. In some ways this film feels like a biopic of someone famous and that partially has to do with the casting of Paul Newman in the title role. He is superb here and his natural charismatic nature helps make the story and his character’s path in life feel even more believable. The do a great job of showing us the important events in his life and the issues he must deal with which helps us understand what kind of person he truly is underneath it all. Besides Newman, the supporting cast is quite good here. Loved the way that this film feels like a jigsaw puzzle where we have to try and put all the pieces together in order to get to the climax of the story due to the vast amount of information that we are given during the course of the main character’s life. The court scenes towards the end of the film are quite gripping to watch and are done in a very intriguing fashion which makes it all the more interesting. Bottom Line – Great story that works really well. Newman is superb here and due to his own charisma makes us believe even more the path that his character takes. Loved the way this follows him through many important events and issues in his life in order for us to get a real idea as to what kind of person he truly is. The supporting cast is great and they do a wonderful job of putting together a complex puzzle of information leading to the climax of it all. Highly Recommended! You mention only that the rest of the supporting cast is very good – you don’t mention that Robert Vaughn received his one and only Oscar nomination for this film – for Best Supporting Actor (he lost to Hugh Griffith in “Ben Hur”). He was at the peak of his career – and would co-star in “The Magnificent Seven” the following year before going on to iconic TV fame as Napoleon Solo in “The Man From U.N.C.L.E.” a couple years later.